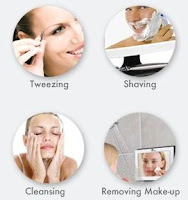 I am so happy to have my fogless shower mirror from ToiletTree! Normally I would wash my face and do any facial hair removal after my morning shower , since the hair always seems to be softer. It has always been difficult because the mirror fogs up with steam, and it's hard to see the little individual hairs. With me being a woman suffering from PCOS, the battle with extra hair has been a nightmare. ToiletTree has definatly made my life a lot easier. The ToiletTree Fogless Shower Mirror has already saved me time and prevented frustration when grooming myself in a steamy bathroom. I no longer pluck or use a cream hair removal after a shower; Instead, I use them in the shower. I could never do this before, because my eyebrows would have ended up uneven. ToiletTree mirrors work brilliantly using a unique patent pending design! To remain truly fogless, these shower mirrors include an easy fill reservoir. The reservoir gets filled with hot water which “neutralizes the mirror and air temperature to eliminate fogging.” Because they do not rely on chemicals or special coatings, ToiletTree mirrors are able to remain fogless for a lifetime. Most wall mounted mirrors use suction cups to attach the mirror holder to the wall. These suction shower mirrors do not stick for very long and the eventually come crashing down. ToiletTree shower shaving mirrors adhere to bath walls better than suction mirrors by using soft silicone adhesive. The silicone is strong, non-damaging, and can be removed easily if needed. The fog free mirror is stuck securely to my tile bathroom wall. According to the box, the ToiletTree bath wall mirror will adhere to slate, fiberglass, and many other surfaces equally well. The anti fog mirror can be removed from the wall mount mirror holder which makes it easy to refill. This also allows the mirror tobe used outside of the bathtub if needed. For instance, If I can’t find my wifes compact but want to see the back of my head in the other bathroom mirror, our ToiletTree mirror is right there in the shower. The mirror can be tilted up and down to accommodate for everyone in your home. The mirror offers storage for items such as razors and the included squeegee. The ToiletTree mirror for the shower, would make a great gift for anyone. The ToiletTree Fogless Shower Mirror retails for $49.95, but is available for purchase on Amazon! It also comes with a money back guarantee and a one-year warranty! 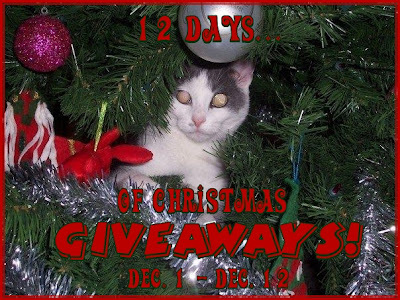 ToiletTree has sponsored my '12 Days of Christmas Giveaways'! One lucky person will get the opportunity to win their very own Fogless mirror! "Win your own Fogless Mirror from ToiletTree @kimmie_1980 http://tinyurl.com/2e3zuwg (12/19) #giveaway"
I received The ToiletTree Fogless Mirror, in exchange for my honest opinion, and a review of my experience. I did not receive any other compensation or incentive nor was I required to write a positive review. Individual results or experiences may vary. Just stopped by to say, have a blessed day! I follow you on Blog Frog. I added your button to the bottom of my blog, under review and giveaway blogs. You can find it at: Frugality Is Free.